Imagine having Harry Styles as your brother. 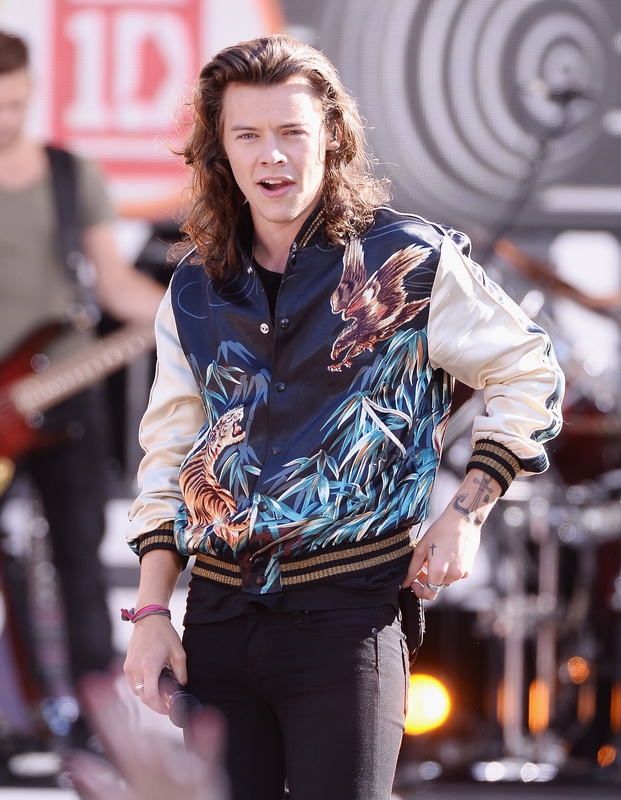 Yes, that Harry Styles, he of disco-print suits and flawless hair accessories. For Gemma Styles, Harry's sister, this is very much a reality. Another reality? Styles seems like the best brother ever. Case in point: He actually interrupted a One Direction concert to check in on his sister's date. Thank goodness for Directioners, because there is officially evidence of Styles' speech during the Apple Music Festival. The first part is cut off, although he appears to have said something along the lines of "My sister is ..." Here's the rest of what went down: "... on a date and I'm trying to keep an eye on her. They're up there somewhere, so ... Please behave yourselves. It's disgusting." Louis Tomlinson jumped in to say, "Oh, she's here? ... He's watching you." "We're all watching you," Liam Payne added. The fan who shared the clip on Twitter included the caption, "Harry talking about being distracted because Gemma was on a date in the venue...too cute!" Agreed. However, I can't imagine how odd it must be to go on a date when the girl you're with just happens to be the big sister of Harry Styles. With that in mind, here are the seven stages of going on a date with a One Direction sibling at a One Direction concert. It has to be perfect. When all else fails, a One Direction tour shirt will do. You'll most likely be mobbed by a few fans because your date happens to be related to One Direction. And One Direction will act totally normal, like this. Most likely in the VIP section because you're a high roller tonight. Because he's the best big brother ever. I wouldn't want to cross Liam Payne. Because you're at a One Direction concert and Harry Styles just spoke to you. Dear Harry Styles, feel free to call me out at any concert.